These nature-themed designs are a wonderful way to hone your skills. 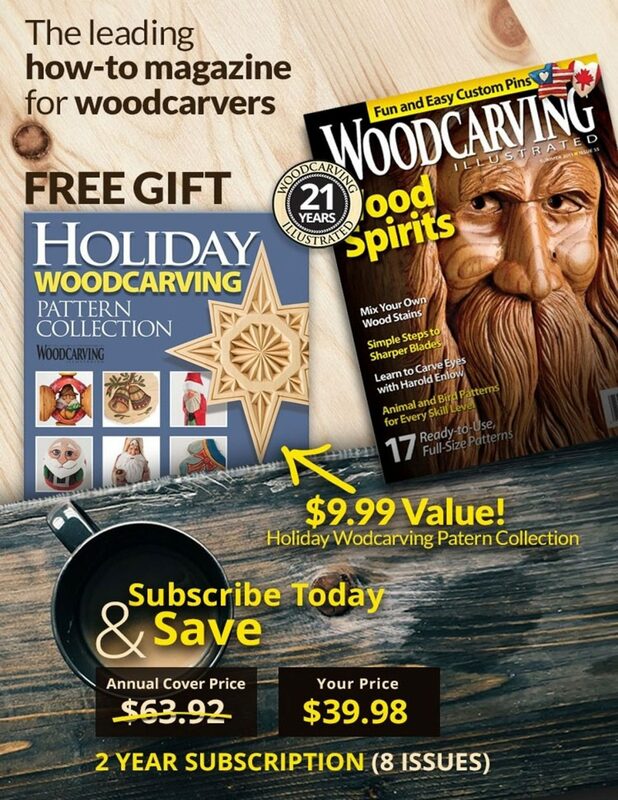 They make delightful gifts and add a touch of Gothic flair wherever they are displayed. 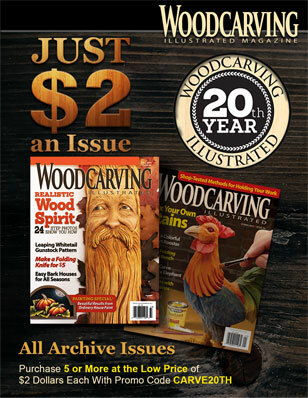 Be warned–the carved magnets may attract more attention than the pictures or artwork they support! Classic rosettes usually depict a geometric flower comprised of a center disk with radiating petals in an overall round shape. In the Gothic idiom, flowers and leaves are often square, contrasting with the round foils of tracery. The designs presented here are 2″ (51mm) square, although this dimension is somewhat arbitrary. A smaller blank is more difficult to carve and you run the risk of carving into the recess for the magnet. A larger blank may require a larger magnet and could obscure the material being held. 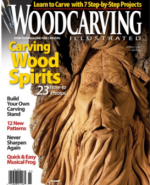 Any easily carved wood can be used. I recommend cherry, walnut, basswood, pine or white oak. 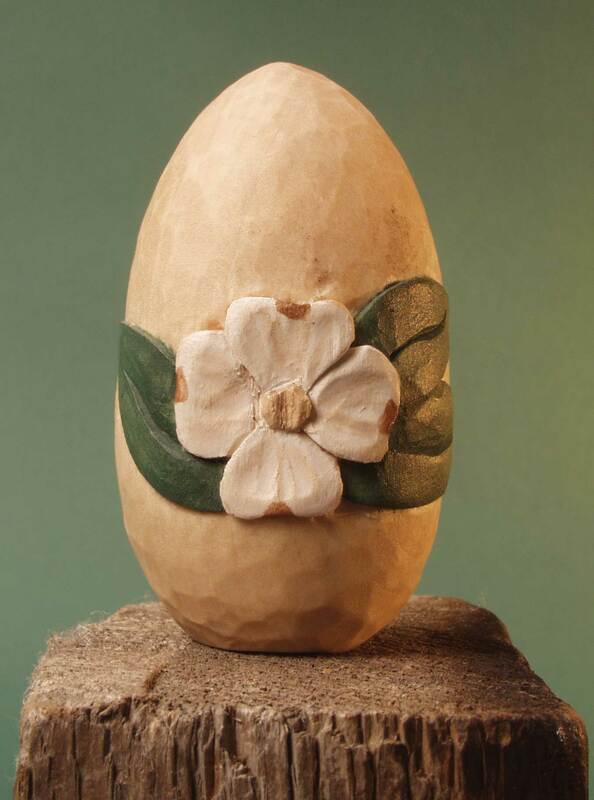 The carving procedure for the square flowers and the round flowers is very similar. 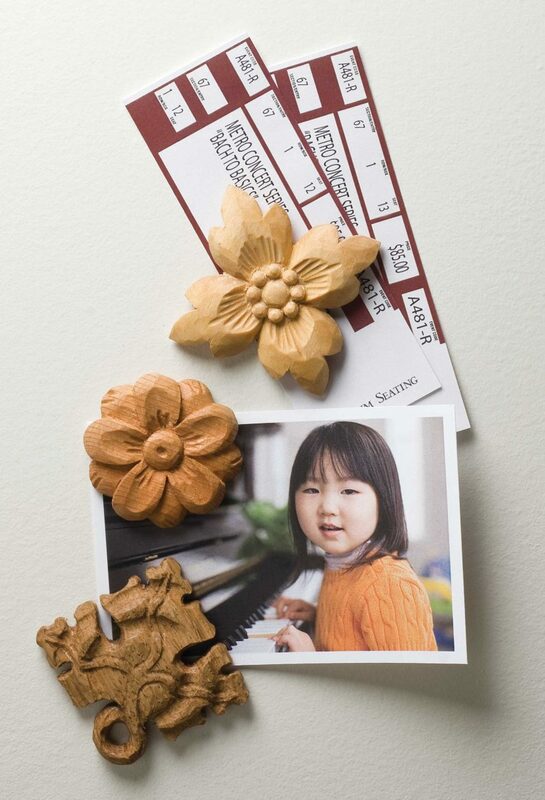 CLICK HERE to download the Handcarved Magnets Pattern. Prepare the magnet stock by cutting 3/8″ (10mm)-thick blanks into 2″ by 2″ (51mm by 51mm) squares. Draw diagonal lines from corner to corner to locate the center of the blank. After you are finished carving, glue the magnet in place in the recessed cavity on the back and apply your clear finish of choice. • Magnets, 3/4″ (19mm) dia. • Forstner bit, ¾” (19mm) dia. 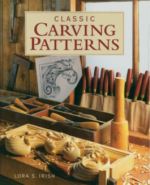 For more information about classic carving techniques read Classic Carving Patterns by Lora S. Irish. Designs are presented as an easy-to-reproduce outline pattern and a detailed sketch to guide the carving or shading of the design. The book is available from www.foxhcapelpublishing.com for $19.95 plus S&H.